WASHINGTON — Talk may be cheap, but for New York car bomb suspect Faisal Shahzad, yapping to the feds, and doing so without a lawyer, could potentially pay off in the form of a lighter sentence, legal experts say. Just how much lighter is anyone’s guess, though clearly he’s not likely to be a free man any time soon. Or for that matter, when the Yankees celebrate their 10th anniversary in the new stadium in the Bronx in 2019, or perhaps even their 20th anniversary. 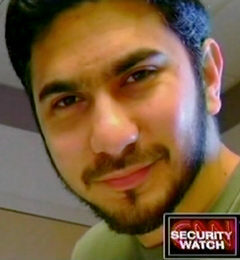 Justice Department officials say Shahzad, a naturalized American citizen from Pakistan, has been talking to investigators and offering valuable information ever since he was pulled off a plane at New York’s John F. Kennedy International Airport on May 3, two days after he allegedly placed a failed car bomb inside a 1993 Nissan Pathfinder in Times Square. Posted: 5/17/10 at 11:54 PM under News Story.